Sehgal and his wife, Edda, have committed most of their wealth to philanthropy in India. 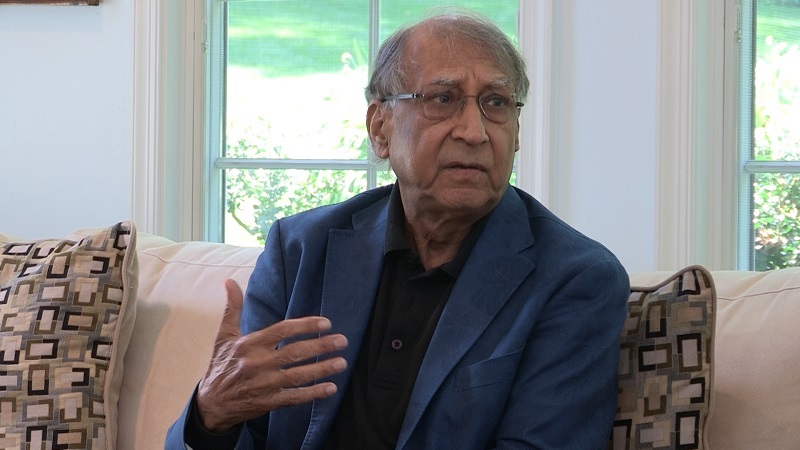 The only way India can solve the recurrent water crisis, which has led to hundreds of farmer suicides across the country, is by drastically increasing water storage capacity, prominent Indian American philanthropist Dr. Suri Sehgal said. Water collection, storage and distribution are among the main focuses of the Gurgaon-based foundation, which has presence in more than 500 villages in the states of Haryana and Rajasthan. Sehgal, one of the world’s leading experts in agriculture and hybrid seeds, pointed out that India’s water storage capacity is substantially less than other large nations such as the United States and China. In the interview, Sehgal also spoke about the reason he and his wife, Edda, set up the foundation, the various projects the organization is running in India and their impact. Sehgal, who has a PhD in plant genetics from Harvard University and a diploma in business management from Harvard University, founded two companies: Proagro Seed Company in India, and Misr Hytech Seed International, in Egypt. He exited from business in 1998 to launch the foundation. But before that the Sehgals made sure that the men and women who stood by them during their entrepreneurial journey were taken care of: they shared part of their newfound wealth with more than 600 employees, from low-level workers to senior executives. The next step was setting up the foundation. “I always felt very strongly that those of us who have had the good fortune in this country [the United States] that we should give back to our country of origin, country of birth which provided us free education and made everything possible,” Sehgal said. After discussing with their family — the Sehgals have four children — the couple decided to take a miniscule amount for retirement and invest the remaining portion in public welfare in India, through Sehgal Foundation. For both Suri and Edda Sehgal, their commitment to philanthropy had roots in the cataclysmal violence they both witnessed during their childhood. Born in pre-partitioned Punjab in 1934, Suri Sehgal was just 13 when the Partition of India took place. The teenager got separated from his family and saw firsthand mindless violence during and after the Partition. He reached Delhi homeless and penniless and ate in refugee camps. Later, Suri got reunited with his family in Amritsar. But the family had lost everything during the Partition and had to start anew. Similarly, Edda Jeglinsky’s family was also displaced from German Silesia during World War II in January 1945. She was evacuated, along with her family, before the onslaught of the Soviet army. The two met at Harvard, where they both came to study. They got married in 1964 and now live in Captiva, FL. After they started the foundation in 1999, Edda has also been deeply involved in its running. She traveled to India more than 40 times in the past decade and a half, Sehgal said. In the past decade and a half, the foundation has also grown from eight people to 170 now. Most of these employees work at the grass root levels in villages where the foundation has undertaken various development projects. This helps the foundation to work closely with local people and communities, stimulating them to participate and contribute in their growth efforts. “Our core staff is mostly PhDs who monitor the work,” the philanthropist added. The foundation has nine economists who regularly conduct surveys both before and after the start of any project. It helps the organization to measure the ground impact of its endeavors. Sehgal also spoke about another initiative of the foundation that it started recently, the community radio Alfaz-e-Mewat (Voices of Mewat), whose goal is to involve and educate the local communities. The radio airs various interactive sessions discussing local issues, government policies, agriculture and water conservation initiatives. The philanthropist said the foundation was overwhelmed by the response it got from the radio initiative. “We started [Alfaz-e-Mewat] as a small project. Our main thrust is that it should become a people’s program; not our program. Kanoon ki baat [“Legal Talks”] is one of our big programs — that is what are your rights as a citizen,” he said.